Multipurpose knife, the 19cm santoku knife is coming from the Furtif range and offers an array of design knives which stainless steel blade is very sharp. 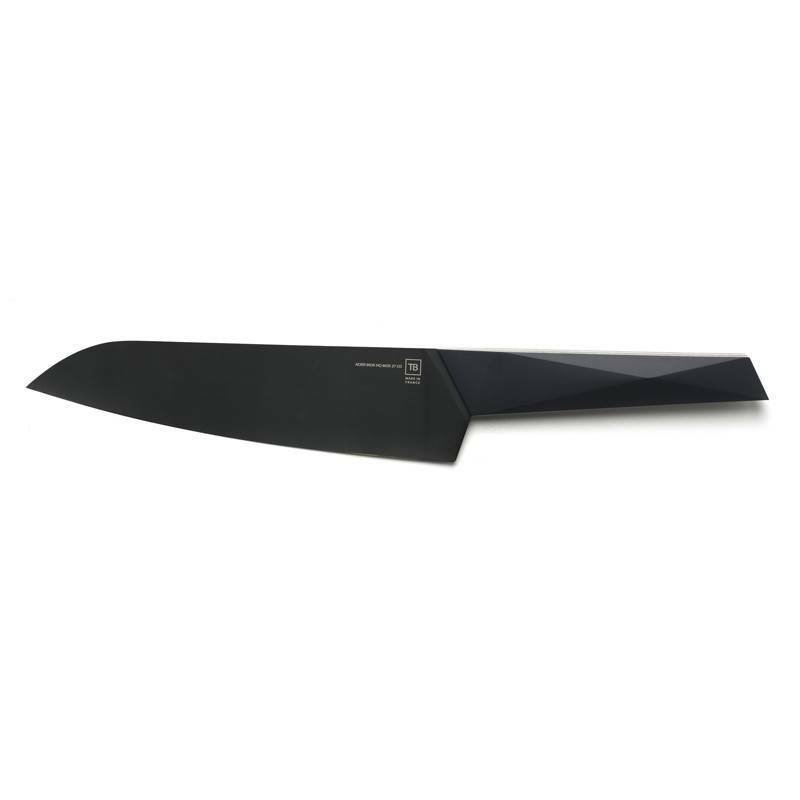 Pointed and slender, the wide black blade is incredibly hard and resistant. Made of very high quality chromium carbon blend it enables this Japanese knife to mince the most delicate pieces with infinite precision. Manufactured in France by Tarrerias-Bonjean cutlery, the black blade of this santoku knife benefits from a non-stick coating. 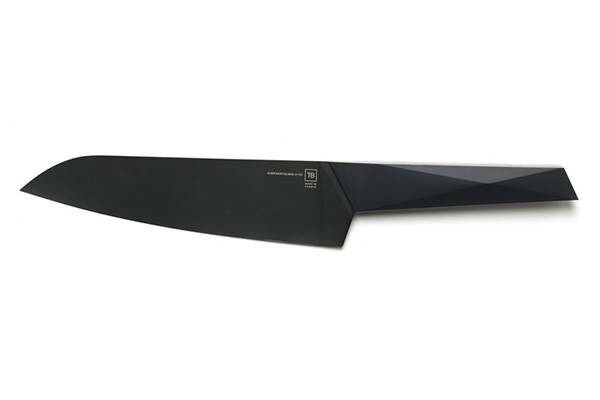 Developed for the fact that it is extremely multipurpose, this Japanese kitchen knife has a unique ergonomics that makes every move extraordinary easy and precise. 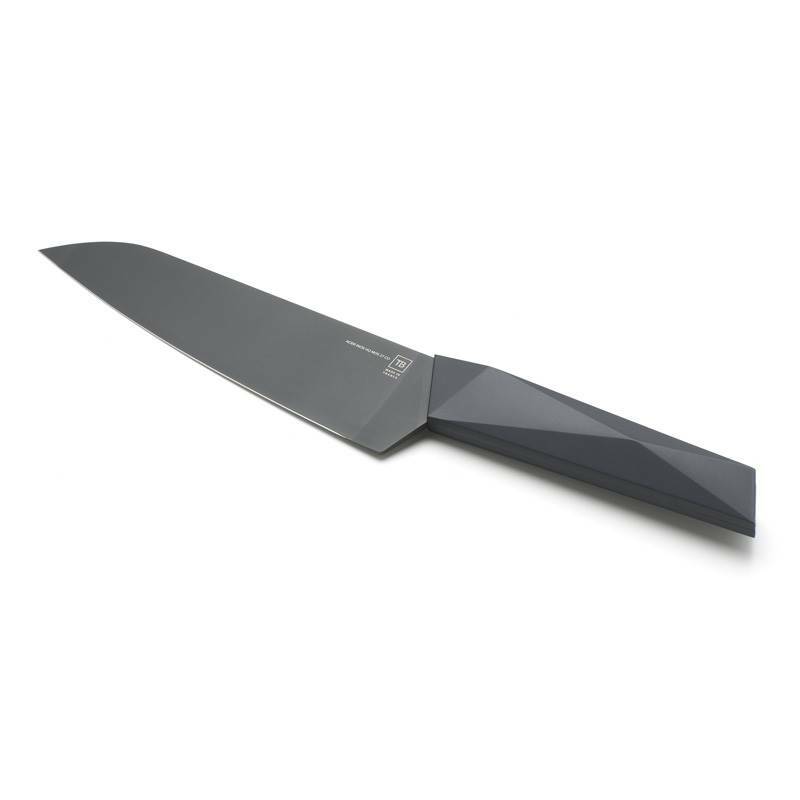 Its black blade offers a perfect balance that facilitates each move and enables the cook to quickly cut with an absolute delicacy. 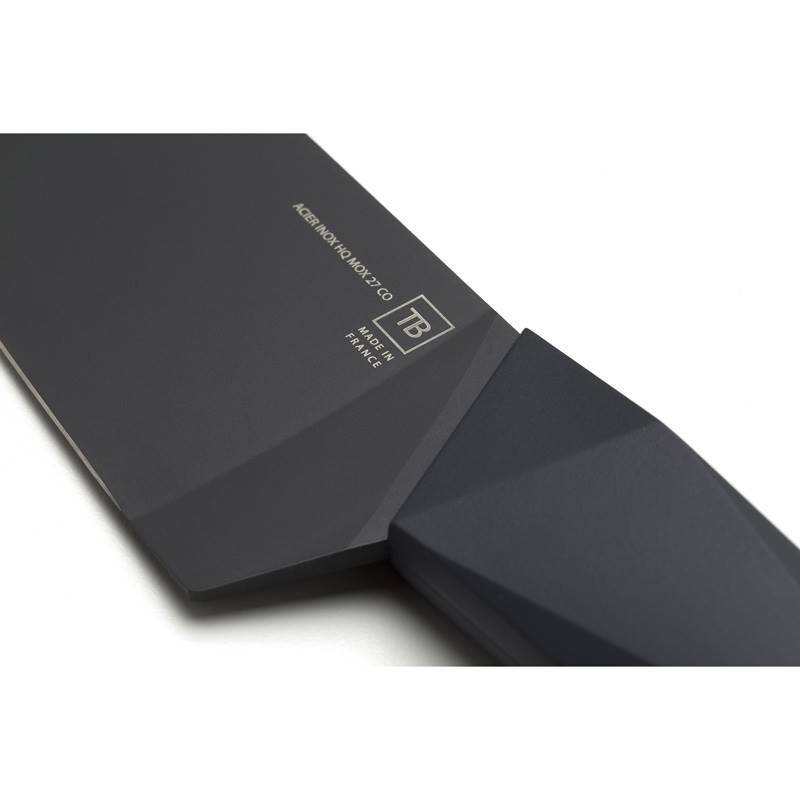 The ultra contemporary style of this Furtif santoku Japanese kitchen knife is a perfect gift to offer. In fact, its blade can be personalised by a writing up to 30 characters making your knife unique!